A couple of years ago, Terry Ransbury came up with the idea of just listening to a rondo as it’s happening. He observed that the exercise sounds different when you compare top, top-level players to new or beginner level players. At the top level, there is a unique popping sound when the ball is hit. A rhythm can be detected as you listen to the ball move. And layered on top of that are the verbal commands of the players themselves. But at the lower levels, you don’t hear that pop quite as often. There is no real rhythm. And the communication is just noise. So, how can a team progress from noisemaking to a beautiful symphony? The key is using exercises like the 4v0 and 4v1 rondos in every single training session and engraining the most basic aspects of possession-based soccer into your players DNA. This holds true no matter what level you and your players are at. Rondos have been a staple in 3four3 training sessions from the time the players were 10-years-old up to and including when they graduated to the professional level. Achieving that pop and rhythm can take months, or even years, depending on the level of your roster, your level as a coach, and whether or not you stay dedicated to the process and actually train this stuff every single practice. Okay, so what is today’s podcast about? Well, I’m stealing Terry’s idea and tweaking it a bit. Instead of just listening to a rondo, I thought it would be interesting to listen to Brian introduce a rondo to a new group of players. So that’s what you’re about to hear. As you listen, just let your imagination paint a picture of what is happening. You’re not going to hear those sounds of the ball popping and skimming across the grass, there won’t be any sort of rhythm, but you will hear the communication from Brian to the players, which is an entirely different level of value in and of itself. This short audio clip was captured during one of our coaching clinics hosted by a club in Seattle, Washington. Footage from that clinic is also part of Phase 1 of the 3four3 coaching membership. That program provides you with a tried, true, and decade-long battle-tested core set of activities that you can adopt and implement in your own environment, whether you’re coaching beginners or pros. 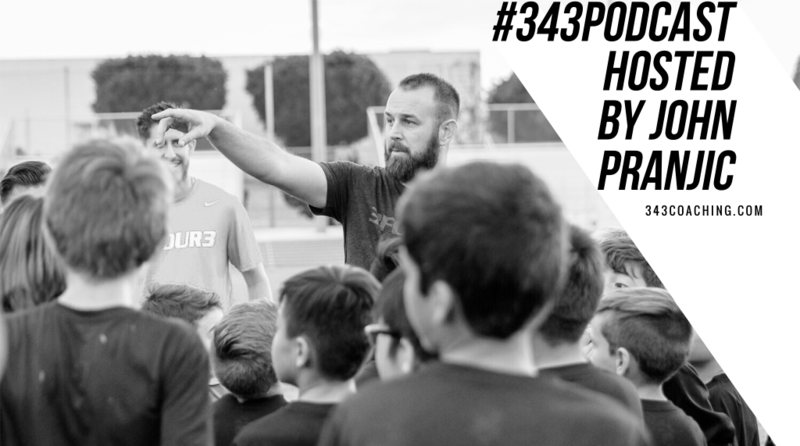 To find more information about the 3four3 coaching membership, or to sign up and start learning today, visit 343coaching.com.